One of the best tools in the productive Mac user's bag of tricks is undoubtedly hotkeys. We can all remember that first lightbulb moment where learning the basic shortcuts in OS X gave us that instant productivity boost! With Alfred, you can kick this keyboard control into high gear. In this post, I've gathered ten of my favourite uses for hotkeys, so take a look at how you can improve your workday by adopting these tricks and creating a few handy hotkeys of your own. In order to use some of the features below, you'll need the Powerpack. You can connect hotkeys to almost anything in a workflow, so there's no need to pop up Alfred and type a keyword. 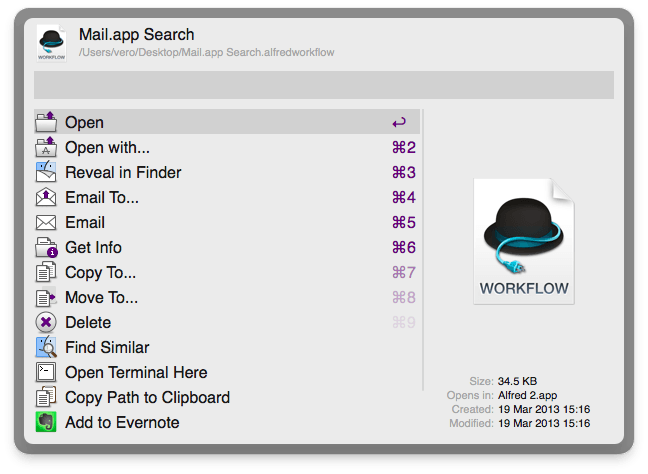 When using Alfred's search box, pressing return will open the application, file or website you've selected. Using modifier keys, your return key can do more. Press the modifier keys and you'll see your results' subtext change to an alternative action. Let's say you frequently search for PDF documents on your Mac. You can drastically speed up your search by using a hotkey to jump straight to a file filter workflow; No need to launch Alfred and type the keyword for your PDF search workflow. Found a file in Finder you need to take action on? Select the file and pop up Alfred's File Action panel with the Cmd + Alt + hotkey. You can even create your own actions and add them to this panel with a "File Action" workflow object for tasks you repeat often. 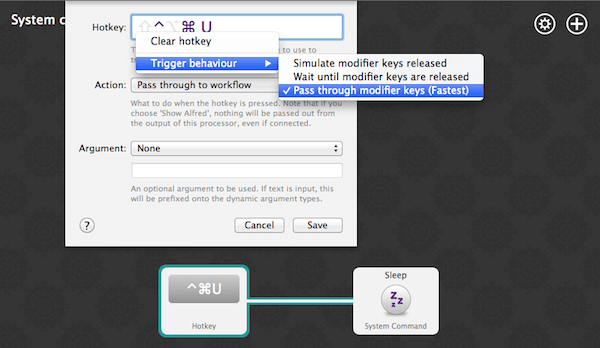 This isn't a hotkey as such, but a way to make your existing workflow hotkeys perform their task even quicker. Like most OS X applications, Alfred uses the standard Cmd + , (Cmd + comma) to open its preferences, so you can quickly put into action the new things you've learned here. 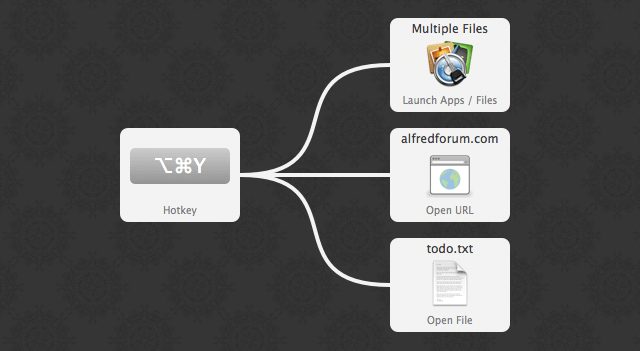 Use Alt + Up arrow to add a file to the buffer from Alfred's results and Alt + Right arrow to take action on all of them. For the full set of File Buffer shortcuts, go to the File Search > Buffer preferences or have a look at the File Buffer support page. Fancy discovering more great productivity features? Have a look at our Tutorials section for tips, tricks and workflows you'll love.